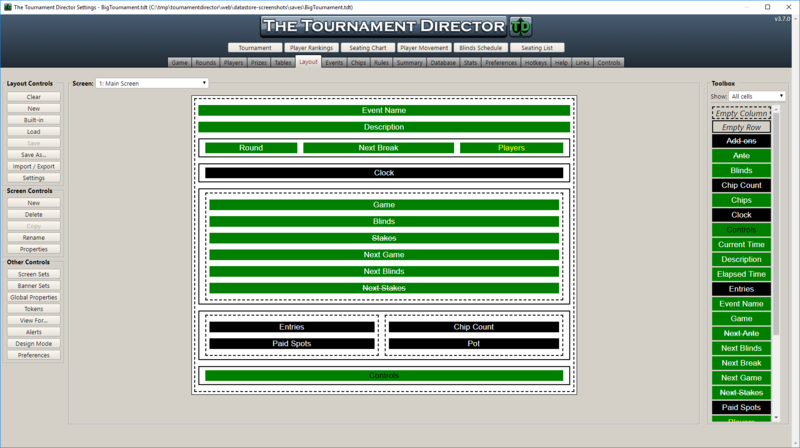 Below you'll find some screen shots of the Tournament Director in action: from configuration screens to customized clock screen layouts. 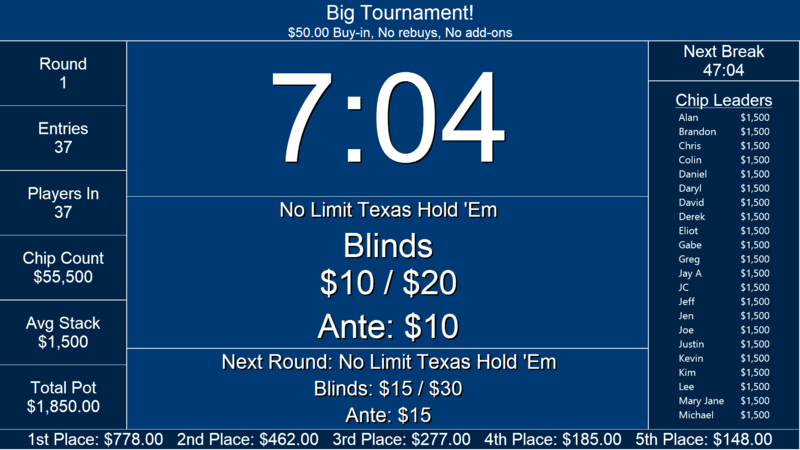 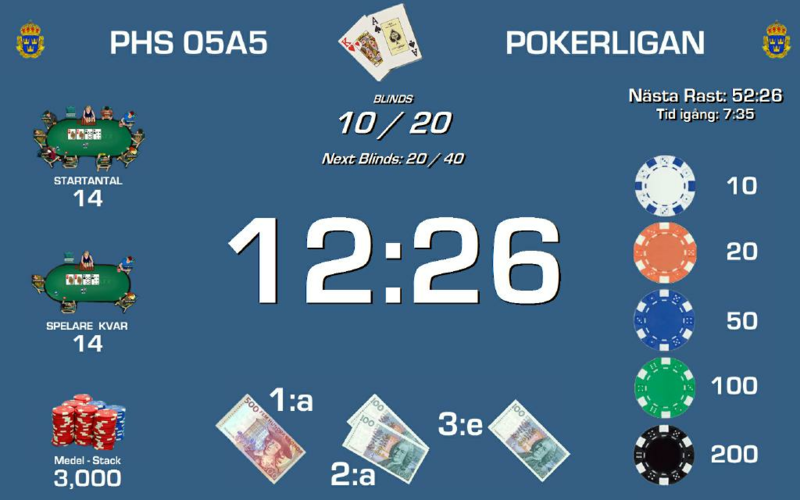 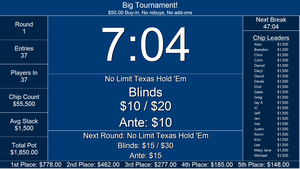 One of the included clock screen layouts. 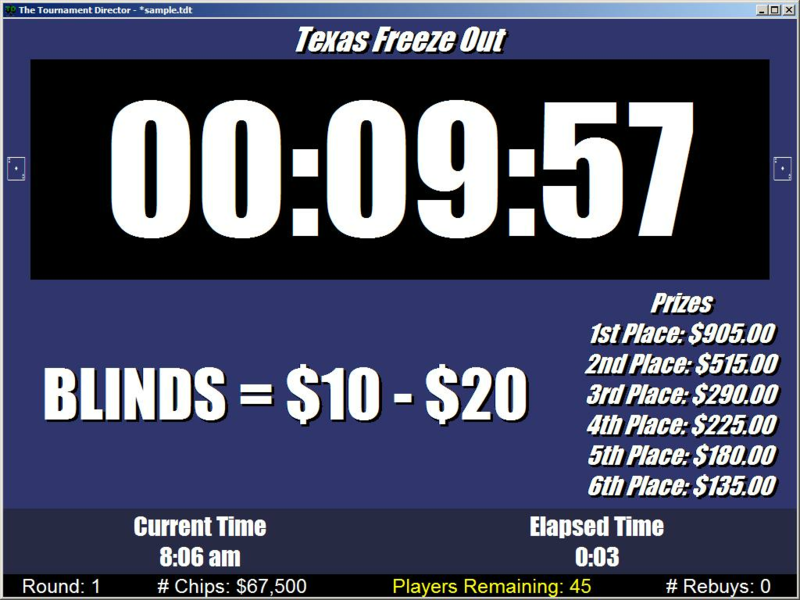 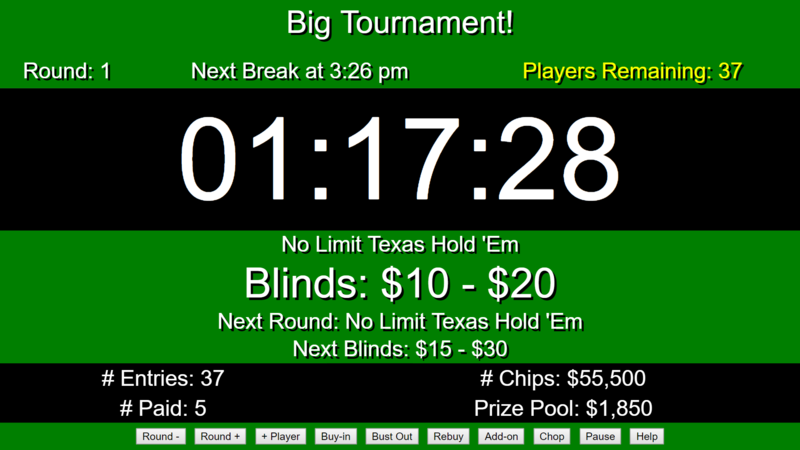 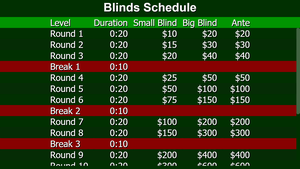 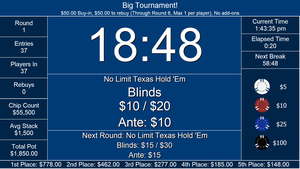 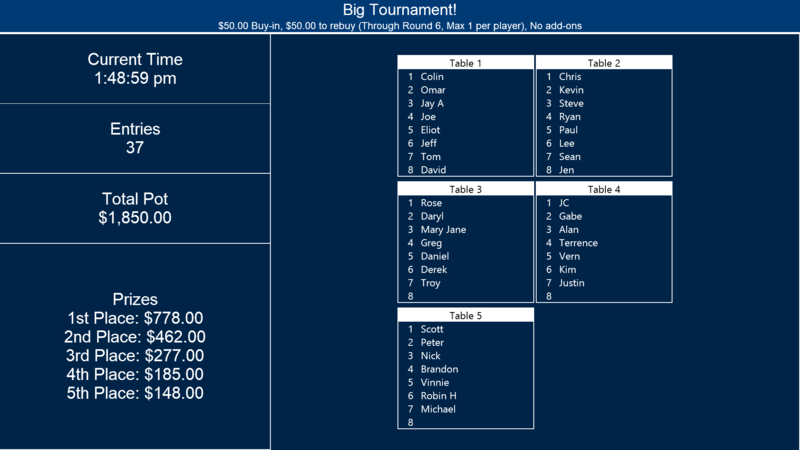 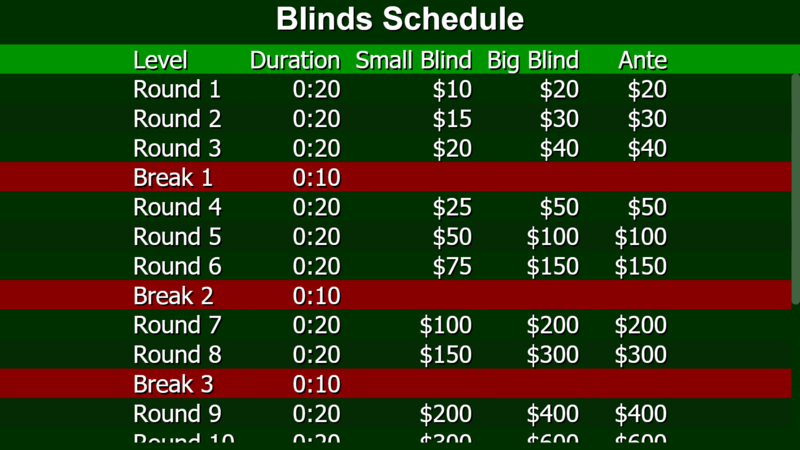 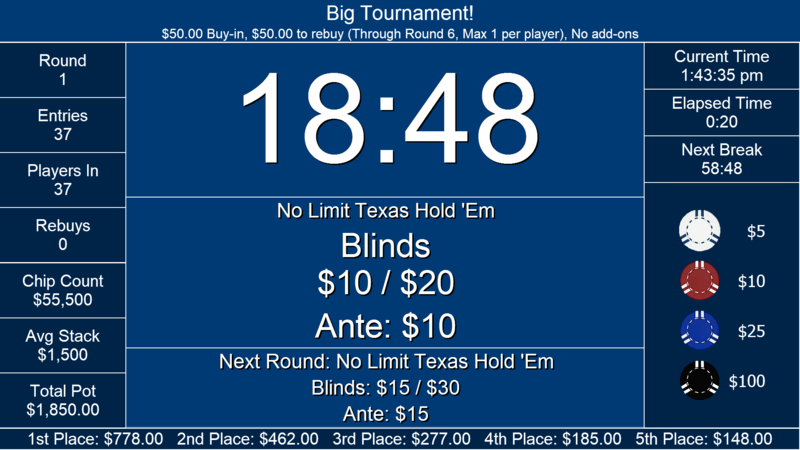 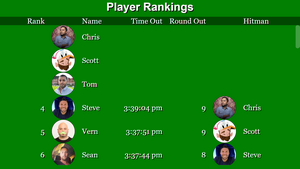 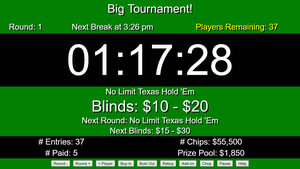 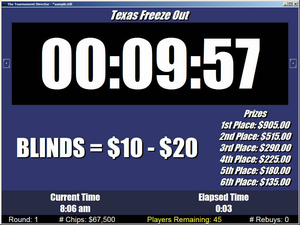 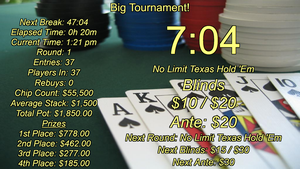 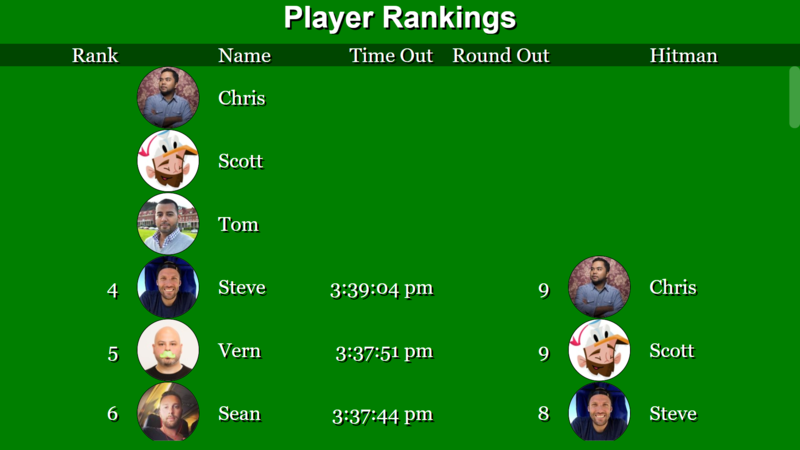 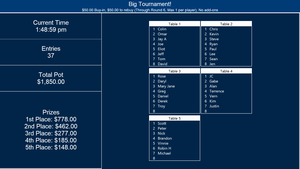 An included layout, modified to show the current chip leaders. 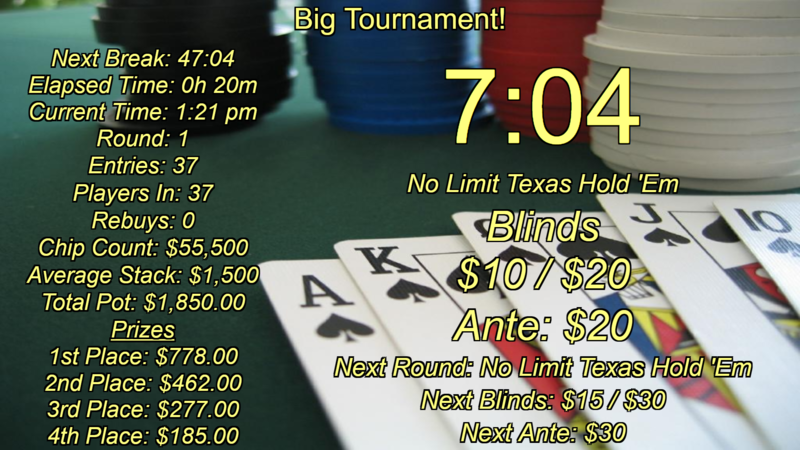 A clock screen layout with a background image. 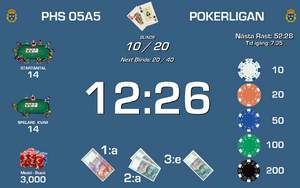 A user-customized clock screen layout. 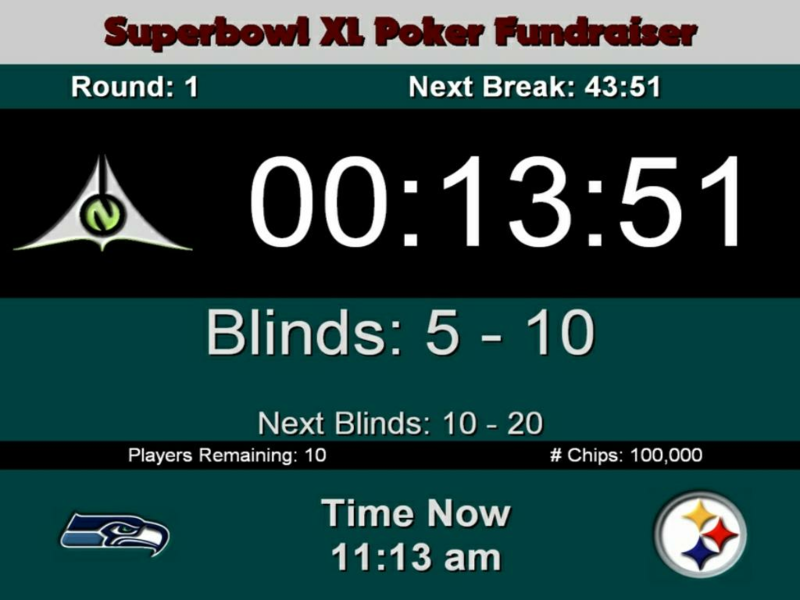 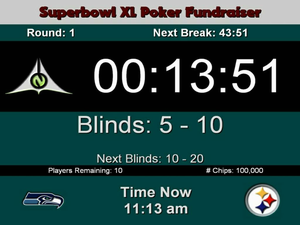 A user-customized super bowl themed clock screen layout. 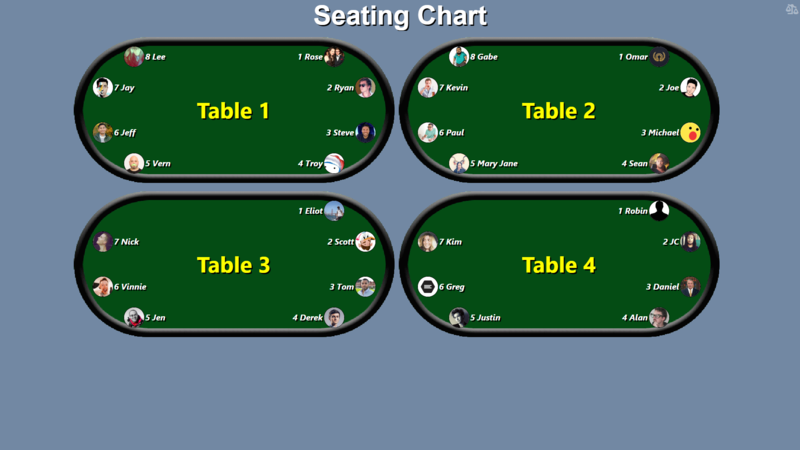 The default layout showing chip denominations. 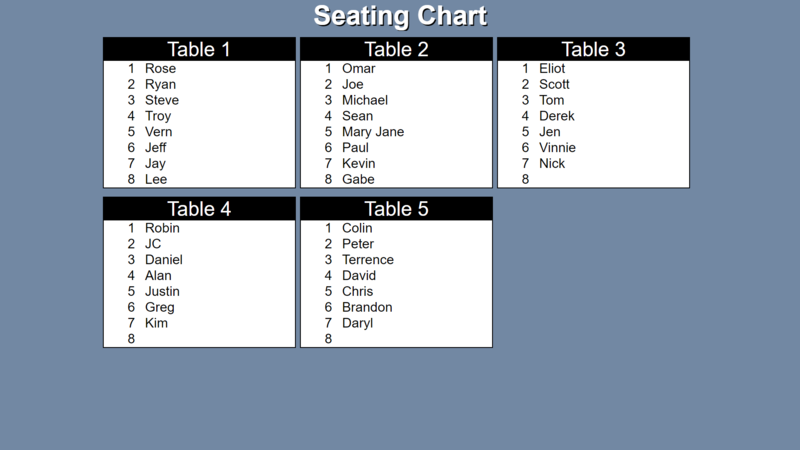 An included layout modified to display the seating chart. 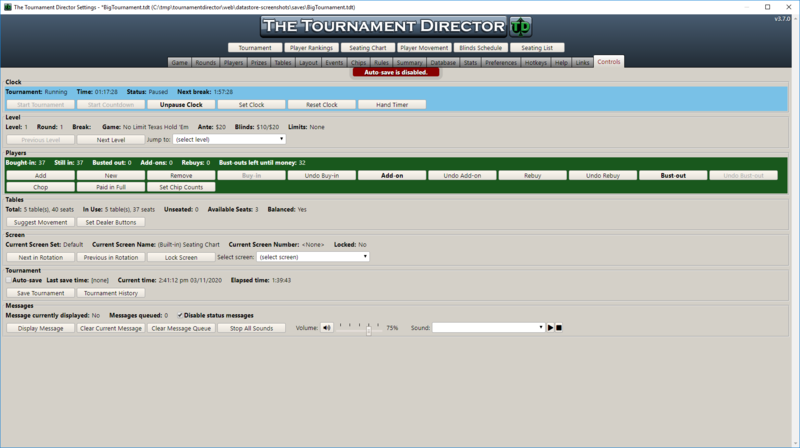 Configuring the tournament schedule (rounds and breaks). 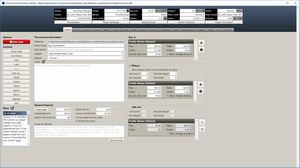 The clock screen layout designer. 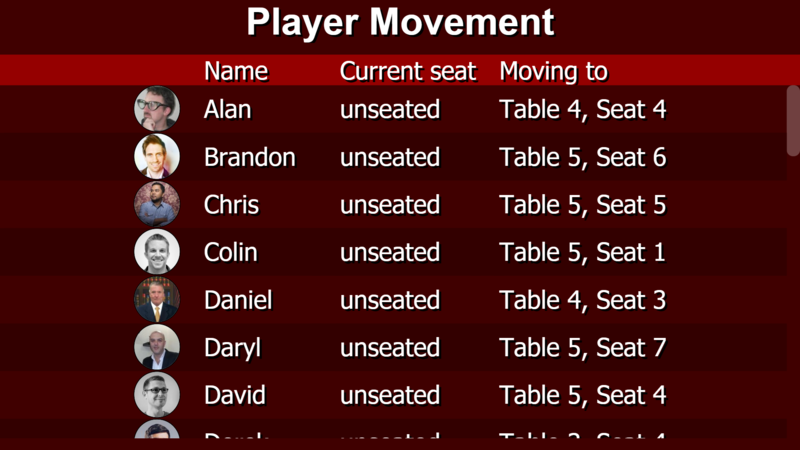 A basic seating chart allows players to take their seats. 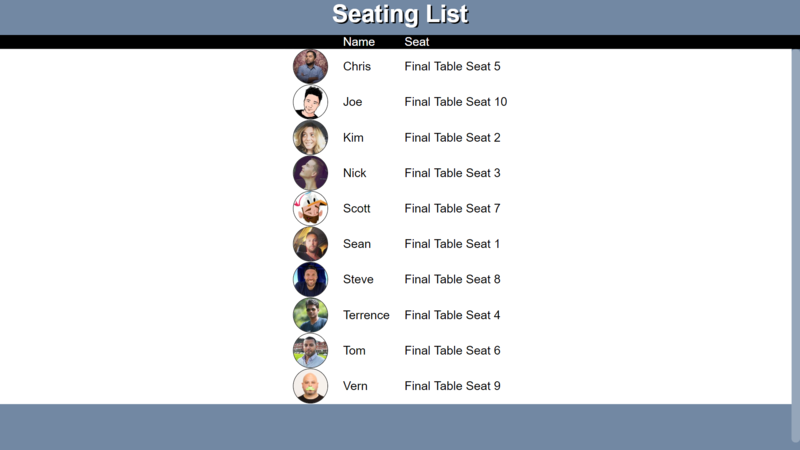 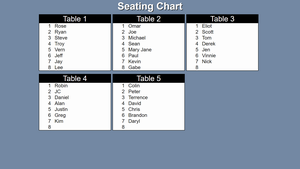 The Seating Chart screen using table images. 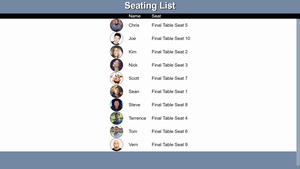 Another view of the seating, with players listed in alphabetical order for easy location. 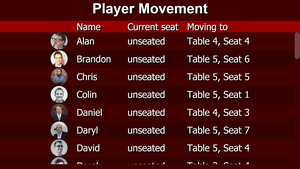 The Player Movement screen, sending players to their seats. 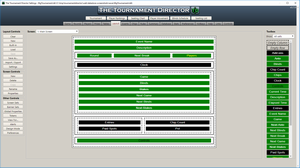 One central place to control everything. 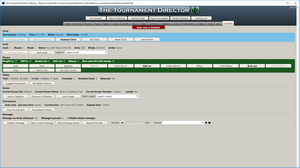 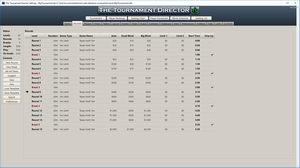 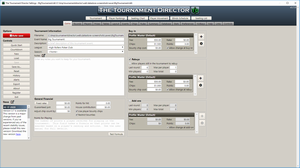 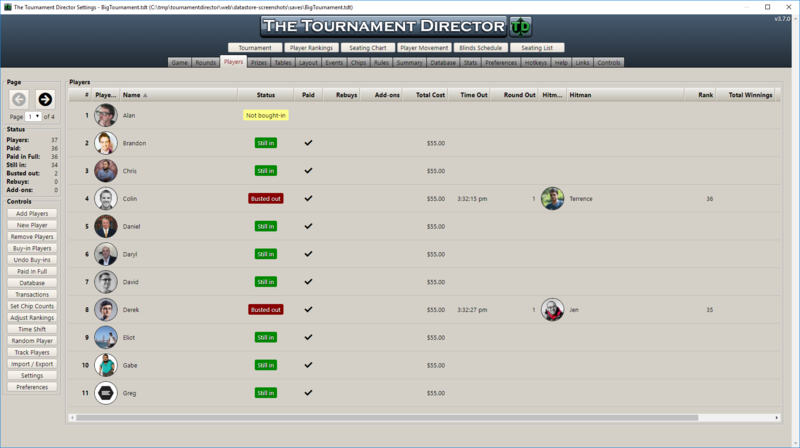 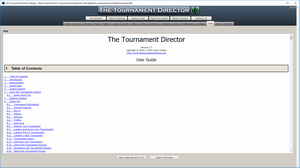 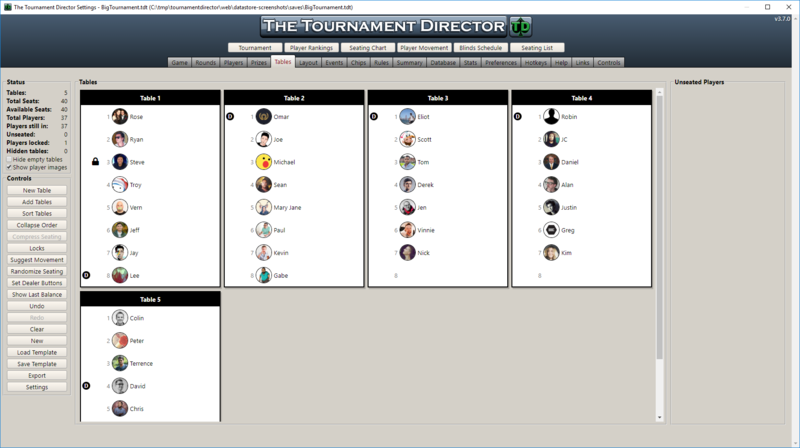 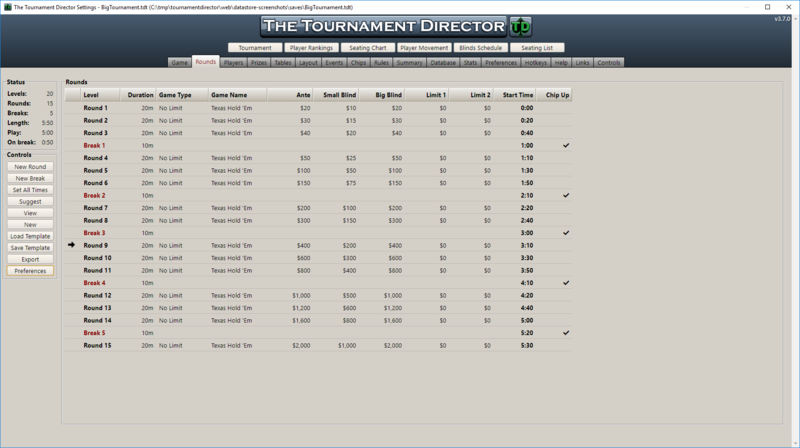 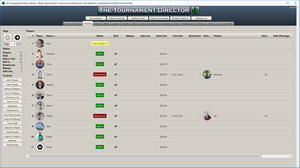 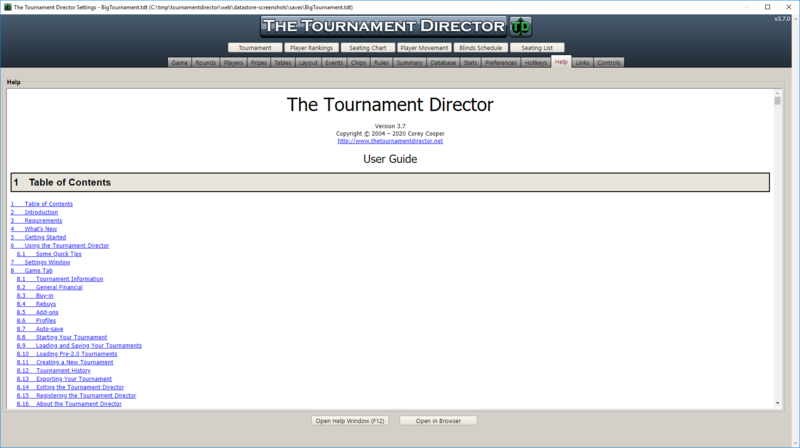 A dashboard above the configuration allows you to run your tournament while you make changes. 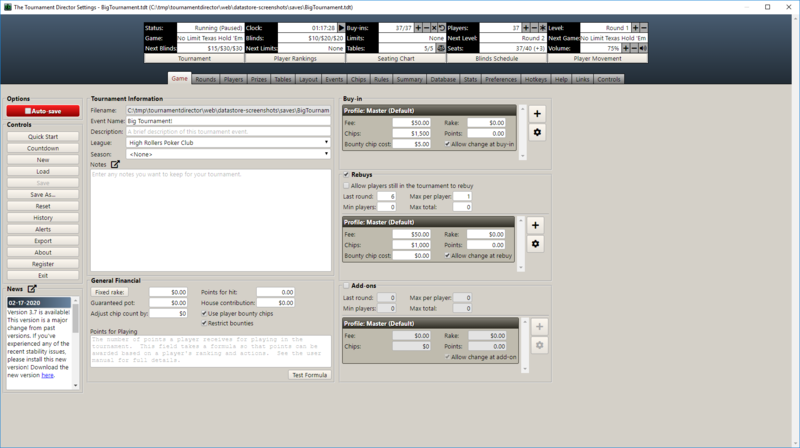 Extensive help is built right in.